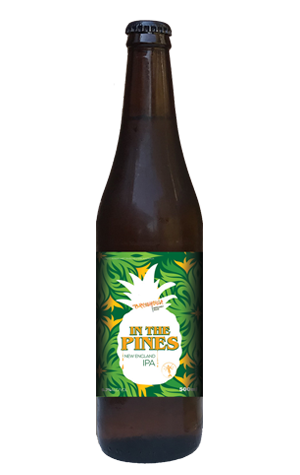 The recent creative run from Brewhouse Margaret River brewery has brought them to one of the styles of the moment, the NEIPA. That said, the brewery has taken some licence with their expression in creating a beer that leans a little closer to a classic IPA than the trubby examples that threaten to hold cutlery upright, Uri Geller-style, in the glass. This is more a fruit bomb than a juice bomb as evidenced by the big tropical aromas of melon, mango, pineapple and more derived from Citra and Mosaic hops that shift on the palate to include a piney, resinous undercurrent – hence the name, which also refers to the mountain bike tracks across from the brewery. Although the mouthfeel is round, the lingering bitterness helps position this more as an IPA’s NEIPA rather than a NEIPA's IPA. In this sense, In The Pines has a lot going for it as many start calling for a return to bitterness in such beers.